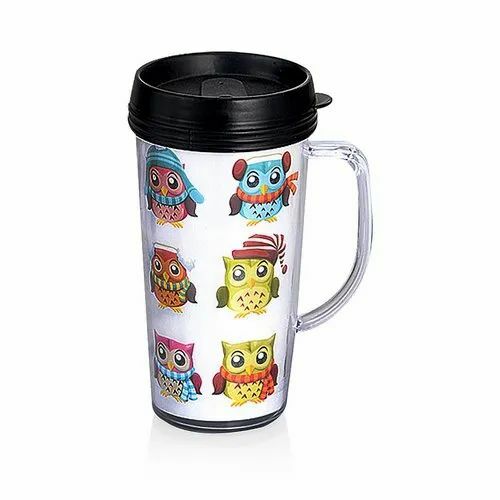 Paper Insert food grade BPA free plastic mug. spill proof cap. handle for ease of use. capacity 500ml. All over branding with visuals Possible to promote your message. Established in year 0000, Krishna Novelties is a famous wholesaler of a wide gamut of Mementos Award, Table Clocks, Casual Ties and Wall Clocks. Our vendors employ the most modern machinery to carry out production and other related processes perfectly. We work as a team in understanding the need of the customers, keeping each other’s business interest intact so that we could deliver products at the right time and at the most competitive rates.